Field Sobriety Tests (FSTs) are physical coordination tests commonly administered to motorists suspected of Driving Under the Influence. These tests may be classified as Standardized Field Sobriety Tests (SFSTs) or Non-Standardized Field Sobriety Tests (FSTs). Law enforcement agencies in Knoxville, Tennessee and across the state of Tennessee commonly use these tests to determine if an individual is under the influence of alcohol, drug or another intoxicant. Steve and Sara often lecture and have authored many articles on the history, research and development of the SFSTs. They teach the proper instructions, administration, and scoring of the Standardized Field Sobriety Tests to lawyers, judges and police officers. For more information about the FSTs and how they relate to your Knoxville, Tennessee DUI arrest, please contact Steve or Sara at (865) 249-7200 and they will be happy to meet with you to discuss the field sobriety tests given to you and the interpretation of your performance on the FSTs. You may also click here for a more detailed description of the history adn details of the Field Sobriety Tests. The three tests that have been standardized (SFSTs) by the National Highway Traffic Safety Administration (NHTSA), and are most commonly administered during Tennessee DUI investigations, are the Horizontal Gaze Nystagmus (HGN), Walk and Turn, and One Leg Stand tests, which are briefly described below. The officer must administer all three tests in a very precise manner. Accordingly, it is important to discuss the details of the SFST administration and interpretation of the SFST results with Steve or Sara at your initial client meeting. Nystagmus is an involuntary jerking of the eye and may be an indication of intoxication. This test is typically administered by having the motorist follow the officer’s pen or finger as the object is moved from side to side with the person’s eyes only, while keeping one’s head stationary. During this test, the officer is looking for three distinct indicators to determine impairment. During the Walk and Turn test, the officer instructs the subject to take nine steps, heel-to-toe, along a straight line (real or imaginary), followed by a turn (series of small steps with one foot) and nine steps back in the same direction. The officer is trained to look for 8 specific “clues,” or indicators of impairment, to determine if the subject “passes” the test. Three of these “clues” include: 1) Cannot keep balance during instructions; 2) Does not touch heel-to-toe; and 3) Uses arms for balance. Steve and Sara will discuss the remaining clues while reviewing your case with you in detail. Several factors and conditions may also interfere with a suspect’s performance on the Walk and Turn test and such potential interference should be addressed by your DUI attorney at the initial consultation. For the One Leg Stand test the officer instructs the subject to stand with one foot approximately six inches off the ground and count aloud to a specific number, or until told to stop. The officer is trained to look for 4 specific “clues,” or indicators of impairment, to determine if the subject “passes” the test. Two of these “clues” include: 1) Swaying and 2) Putting the foot down. Several factors and conditions may also interfere with a suspect’s performance on the One Leg Stand test and should also be addressed by your DUI attorney at the initial consultation. Steve and Sara will also discuss all “clues,” your performance, and the officer’s interpretation of your performance on the One Leg Stand test while reviewing the details of your case with you. An individual may also be charged with a Tennessee DUI offense based upon driving under the influence of drugs, or “drugged driving.” Tennessee law does not distinguish between illegal drugs and prescription medication when classifying someone as driving under the influence of drugs. In other words, driving with a prescribed medication in your system is not a defense to DUI in Tennessee. A DUI investigation for individuals suspected of driving while drugged differs from those suspected of driving under the influence of alcohol. In fact, some DUI enforcement officers in Knoxville, Tennessee and other jurisdictions across the state of Tennessee have been trained and designated as Drug Recognition Evaluators (DRE) and have been specially trained to conduct evaluations of suspected drug-impaired drivers. Some also use the term “DRE” to mean “Drug Recognition Expert” or “Drug Recognition Evaluator.” Like the Standardized Field Sobriety Tests (SFSTs), the National Highway Traffic Safety Administration (NHTSA) also sponsors a specific training program, known as the Drug Evaluation and Classification Program that provides specific guidelines for the administration and interpretation for a drugged driving investigation. 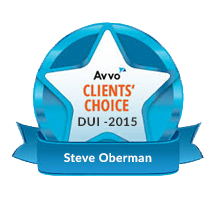 If you have been accused of driving while under the influence of drugs, or DUI by a combination of alcohol and drugs, Steve and Sara will carefully review the facts of your case and the DUI/DRE investigation with you. 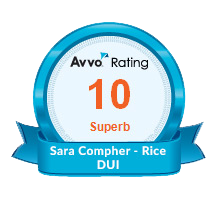 Both of our DUI lawyers have successfully completed a 24-hour overview course of the same Drug Recognition Expert Course that is recognized by NHTSA. This is an overview of the same course that is taught to police officers in Tennessee and across the country by instructors certified by the International Association of Chiefs of Police (IACP). Mr. Oberman has not only completed this overview course, but now often teaches it with retired Georgia State Police Instructor Anthony D. Palacios.